With a special blend of fresh tomatoes, onions, peppers and other spices, our fresh, made-in-store salsa packs flavor that is simply unprecedented. Shoppers come from miles around to enjoy our salsa-tional salsa. Partner them with a package of our tortilla chips and you have a the ultimate in snacking satisfaction. 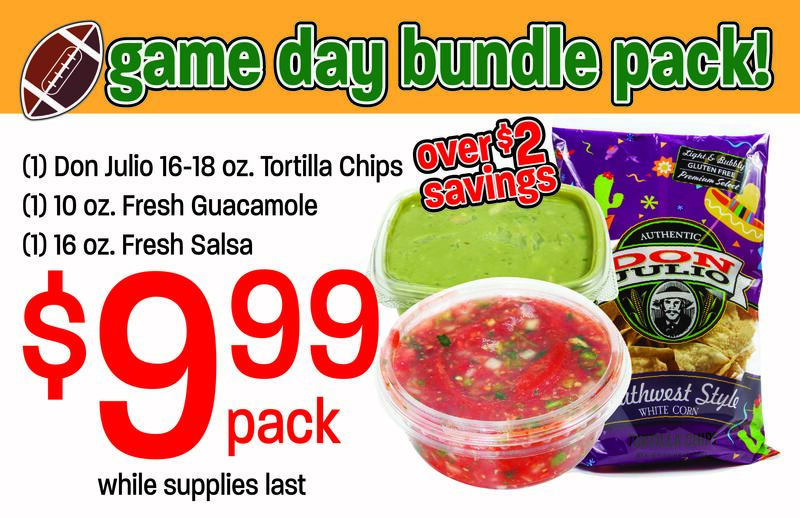 To see more Big Game savings, click here to view our weekly ad!